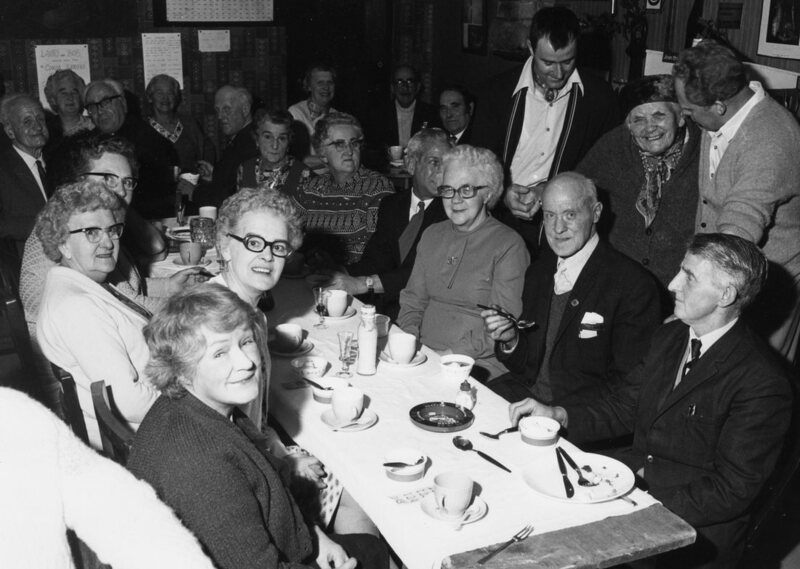 This wonderful photo (courtesy Richard Pinker and Bob Hancock and taken by John Tooth) shows residents of Box Hill enjoying the Box Hill Old Age Pensioners Party put on at the Quarryman's Arms by Bob and Lauri Hancock in 1969. All photos in this article courtesy Richard Pinker. We would love to hear from you if you can tell us more about the people in the photo. William Pinker, my three times great grandfather, came to Box from Christian Malford (near Chippenham) around the turn of the 19th century. My great grandfather, Frederick Pinker, who worked in the quarries, lived most of his married life in Boxfields. Bill Wilkins and his sister at number 3. It was said that the outhouse of number 3 was used as a mortuary during the construction of the Tunnel. The photo outside Tunnel Inn in the snow was taken at Christmas 1962. The vehicle was actually my first car, or rather an ex-butcher's van (without windows) that I bought for £140. The thing about vans then was that they didn't carry purchase tax (a sales tax). In 1962 the rate could be up to 45% in addition to the basic cost. The downside was that the speed of vans was limited to 40 mph. The van was a Thames 300E De Luxe based on the old Ford Prefect. The winter of 1962-63 was very harsh with a considerable amount of snow lasting from 26 December until early March. It was often referred to as the "Big Freeze" . As a young man Richard Pinker was an enthusiastic photographer and he took this dramatic shot of the area around his home. 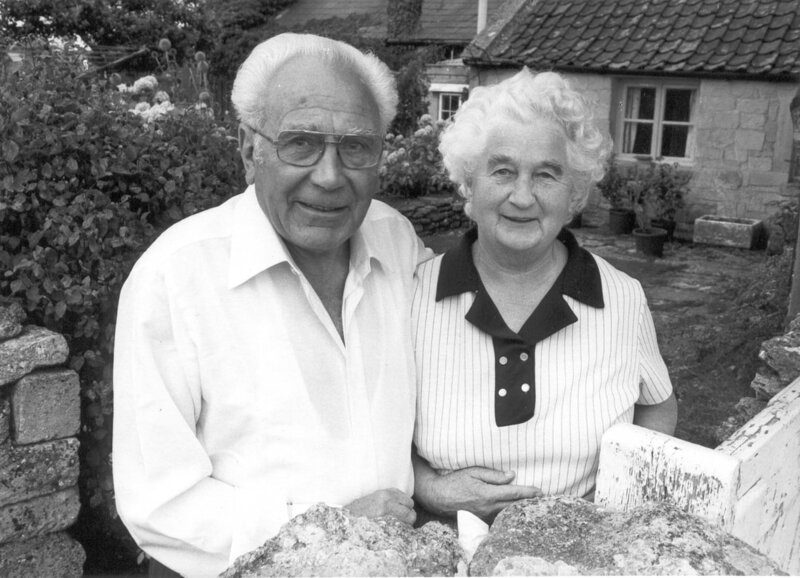 Mr and Mrs Ettles (shown in the heading photo) and their daughter lived in number 1 Berry Cottages (just visible behind the stop sign in the snow photograph), certainly in the 1950s to 1980s. He was a leading light in the chapel near the Quarryman's and ran the Sunday school. 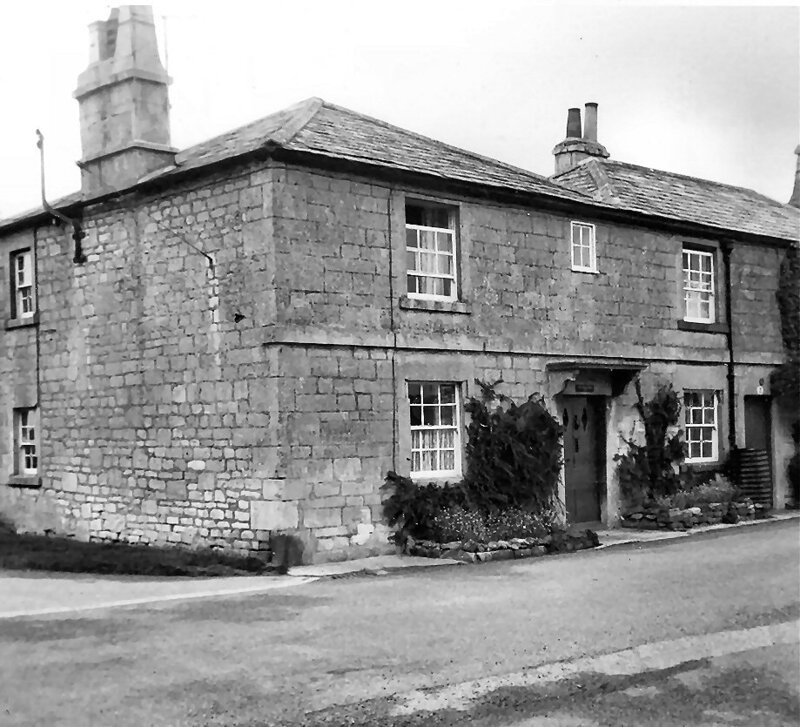 The Pooles lived in Southlands in a bungalow immediately opposite Tunnel Inn, they also owned the fish and chip shop next door to the United Corsham Traders general shop. In the 1940-50s another Pinker, uncle Arthur, a cousin, lived in a bungalow in the quarry behind Berry Cottages with access via The Gullet. The over-60s parties at the Quarryman's Arms in the early 1970s were very popular and licensee Bob and Lauri Hancock also put on entertainment for Harvest Home, darts and shove-halfpenny evenings.